As a graphic designer, Carl has broad experience in marketing and communications, brand identity, exhibition design, environmental graphics, and type design. 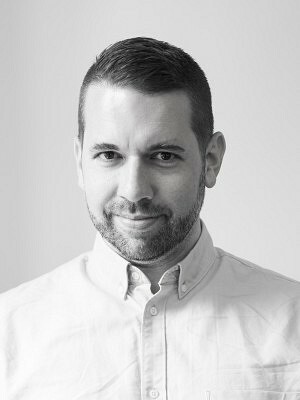 Before joining the team at ERA, his design practice focused predominantly on non-profit and community-based organizations like Pride Winnipeg, the Indigenous Bar Association, the Canadian Journal of Human Rights, Winnipeg Architecture Foundation, and the Canadian Museum for Human Rights. Carl also consults on the historicity and development of type design and lettering. He is regularly involved in projects relating to letterforms, hand-lettered advertising, stone inscriptions, and the (re)creation or conservation of signage and lettering in the built environment. He is a Provisional Member of RGD (the Association of Registered Graphic Designers) and a member of the RHSC (Royal Heraldry Society of Canada).